Software as a service and cloud computing are new buzzwords in the Internet-based economy. Their idea is to provide software, computing and storage capacity in large, but yet unknown numbers. The legal basis of offering such services is provided by service level agreements (SLAs). In a global economy, these SLAs are often made between companies based in different countries, thus between individuals with different cultural backgrounds. This study explains to what extent, how and why the management of SLAs may differ due to cultural differences among participants. 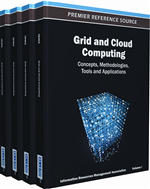 Starting from Hofstede’s seminal work, expert interviews show that some of his findings still hold in the cloud computing world, while others have to be revised. With the ongoing evolution of the Internet and the steady increase of computational power, information technology (IT) and its importance have risen dramatically within the last decades. This changed the business world (Weiss, 2007), and in addition leads to a discussion whether, how and why this technological development has an impact on social phenomena, especially culture (Held, 2004). Several books and articles have been published predicting a steady globalisation of culture (Bolton, 1995). However, some authors argue that despite this increase of IT and the resulting coalescence of the world, the assumption that cultural borders are dissolving is wrong. On the contrary, they claim cultural aspects to become even more important with respect to IT and its usage (Lash & Lury, 2007). Following on this discussion, this book chapter presents the outcome of an empirical qualitative survey, which investigates the cultural differences in IT. We concentrate on one specific area of application that is not only of a high relevance with regard to future IT trends, but in addition exhibits a high degree of standardization coupled with an enormous potential for cultural adaptations: service level agreements (SLAs) for IT services in the context of cloud computing.